A hit and run accident can wreak havoc on a company. Nationally, hit and run crashes have achieved all-time high records. In 2016, for example, according to the NHTSA, over 2,000 people were killed in accidents in which the person who caused the wreck fled the scene. Lower gas prices and an improving economy have led more people to drive, and in fact, motor vehicle deaths overall have been on the rise. The growing number of people who are distracted pedestrians and drivers is also an issue for fatal hit and run accidents. Alcohol use and speed can compound the problem. Even though more research is digging into how this problem is pervasive not just in heavily populated cities but elsewhere, some research has already started exploring what kind of person is most likely to hit someone and leave the scene. According to AAA, the person most likely to leave the scene of an accident is a young man with a history of license suspension and driving under the influence. Someone who has already been in trouble with the law might panic when faced with the possibility of being accused of hurting or killing someone. 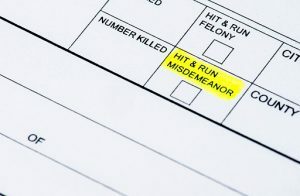 For a person struck in a hit and run accident, eyewitnesses or video footage are perhaps the only way to capture identifying information about the driver. Getting help with medical bills and more damages can be overwhelming for someone critically hurt- hiring a San Francisco injury lawyer is the only way to fight for maximum recovery.